After North Korea’s threat of a ‘super-mighty preemptive strike’, state media has now announced that their rumoured H-Bomb is ready. 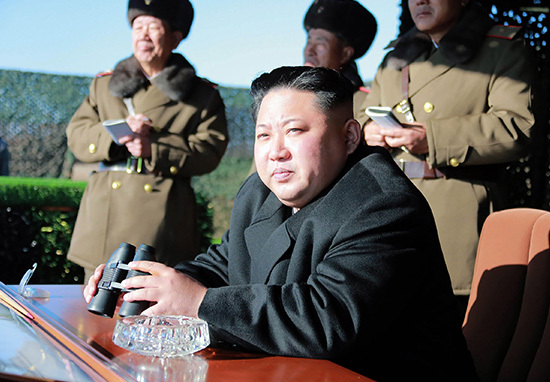 Kim Jong-un is showing no sign of backing down after refusing to stop nuclear weapons production and vowing to reduce the US ‘to ash’. 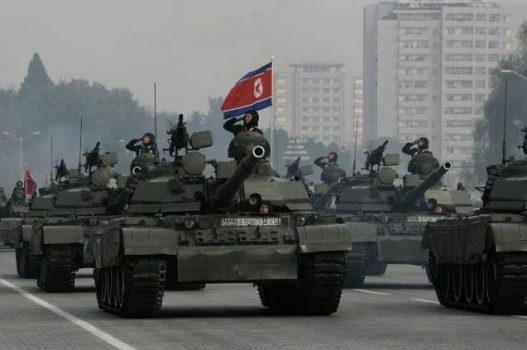 Head of propaganda Rodong Sinmun claimed that North Korea possesses enough weaponry to strike at the heart of continental US and the Asia-Pacific region. State controlled newspaper has given the chilling announcement that their ‘absolute weapon’ is ready for launch. We call on North Korea to refrain from provocative, destabilising actions and rhetoric, and to make strategic choice to fulfil its international obligations and commitments and return to serious talks. North Korea’s unlawful weapons programs represent a clear, grave threat to US national security. In recent months North Korea has refused to buckle to international pressure and continued to develop both its nuclear and test missiles. So where can North Korea currently hit with their missiles? 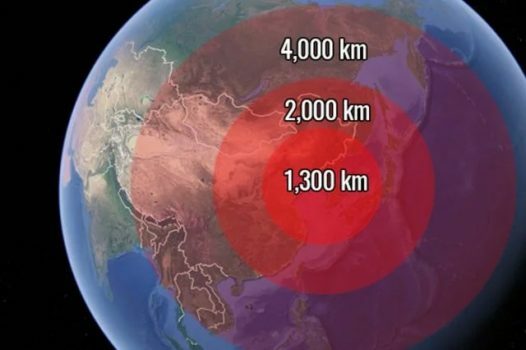 Well according to the George C Marshall Institute here’s the maximum hypothetical range of the four intercontinental missiles used by the North. Trump sent an ‘armada’ to northern Australia to position themselves strongly against North Korea and act as a warning. Hopefully Kim’s threats continue to be empty. Experts believe that North Korea is some time away from mastering the technology for such an attack, including miniaturising a nuclear warhead.